Management, printing, viewing and exporting reports. The export can be done in CSV and PDF. You can request for further reports. 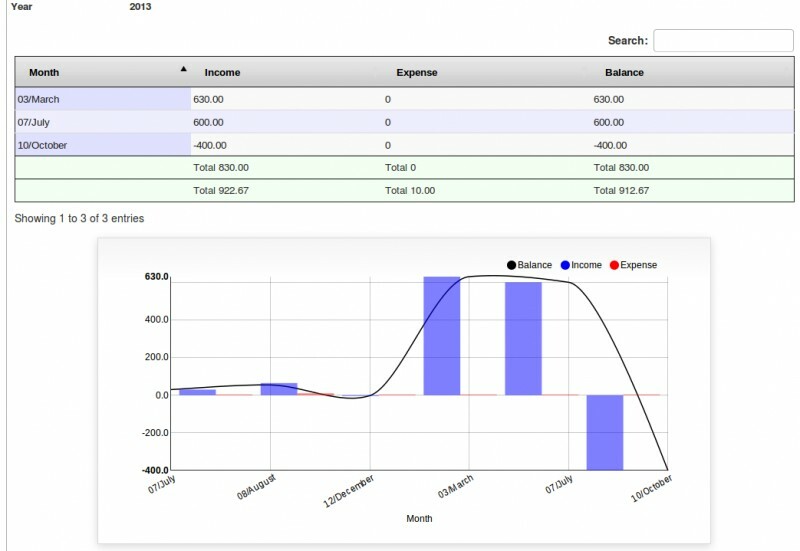 The module allows us to manage groups of reports. It includes traceability reports to lots and expiration. 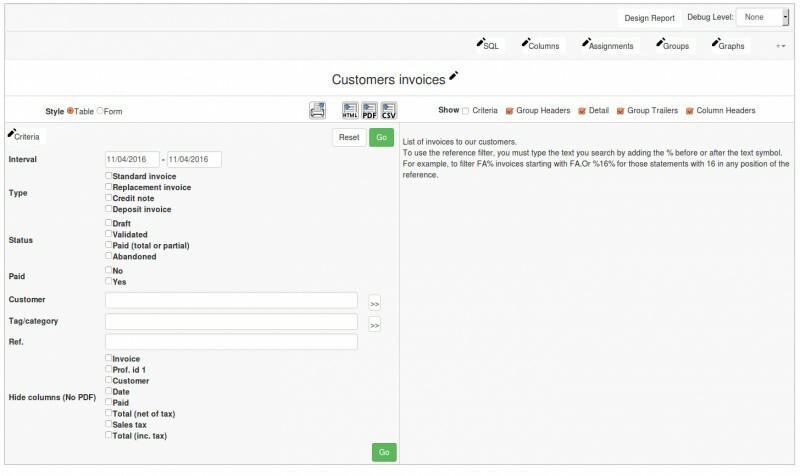 Now you can create your own reports. This module comes bundled support module that will allow you to contact us in a comfortable way through your Dolibarr. It installs like any Dolibarr external modules. 1) BUY THE NEW VERSION OF MODULE. NOTE: DEPENDING ON THE DOLIBARR VERSION USED, MODULE HAVE MORE OR LESS IMPROVEMENTS BY INCORPORATING THE FUNCTIONS IN THE STANDARD VERSION DOLIBARR. WHY HAVE ALWAYS RECOMMEND TO LAST UPDATED DOLIBARR STABLE VERSION. Put the file into the root directory of Dolibarr. Module or skin is then available and can be activated.